The Upbeat Dad! : Upbeat Dad of the Week: Nelson L. Moody Sr.
It’s time for our Upbeat Dad of the Week! Because of our Upbeat Dad Community Forum, the past two weeks, we haven’t had this feature. Instead we featured special posts on our forum and the success that it was. If you haven’t already done so, I encourage you to check out our detailed post – Special Edition: Upbeat Dad Community Forum Recap. Let me also say that beginning in March, on the first Friday of each month, we will do a feature on a non-profit / charitable organization that embodies the ideals that we hold dear at The Upbeat Dad. We will share more about this new spotlight in the coming days. I mention this now to say that next week, we will debut that feature. Therefore, the next Upbeat Dad of the Week post will be done on Friday, March 11. Today’s feature is really a “feel good” story after a situation that started out not so good. At The Upbeat Dad, we like to share posts that inspire people to rise above their circumstances, despite the challenges that they may face. Our dad this week is one such individual. So it gives me great pleasure to say that our Upbeat Dad of the Week is Nelson L. Moody Sr. He was nominated as our featured dad in response to our open invitation every time we have such a spotlight. I got to know him only while doing the interview and research for this post. As I learned more about his journey, I thought that his personal testimony might encourage many who read our blog. Nelson was born in Baltimore, Maryland to a single mother. He grew up in a loving home yet he had friends and family who had both parents in their lives, if not in the home together. He never met his father so there always seemed to be a void in his life. When he was 10 years old and began to think about his future, he promised himself that whenever he has children, no matter the circumstance, he would actively be present in their lives. While in high school, he joined the United States army. Upon graduation he enlisted full-time and traveled around the US and the world on behalf of his country. 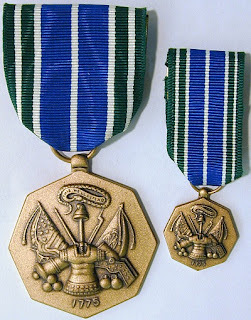 He received numerous awards including The Army Achievement Medal on 2 different occasions. He was honorably discharged from the armed forces in 1986 after serving 6 years. When he was 15 years old and still in high school, he decided that somehow he had to fill the void in his life and meet his father. He searched for 15 years – by different means, to find him. Finally, he got a lead from an aunt about how to finally meet the man who was absent for all of his life. On a Thursday, a meeting was scheduled for the following Tuesday. But on the Sunday before the meeting, his father died. So he finally did meet his father – but on the following Wednesday when he saw him in the funeral home. A lifelong quest had ended sadly but at least he did meet his goal. While I write this, let me say quickly here that I do not know of the facts of the case. I’m relaying information to our readers. I know that there are multiple sides to every story. I do know, however, that false accusations of domestic violence and abuse are quite prevalent in family law cases. I wrote about that in yesterday’s post Domestic Violence and Its Impact on Families. In many cases, men who are accused have a presumption of guilt in the eyes of the court. I know this from multiple sources including individuals who work within the legal system. The challenges of the situation frustrated Nelson immensely. He didn’t have the financial resources to hire an attorney to fight the allegations in court. So e represented himself. He had no legal training but considering that he didn’t have the resources to hire an attorney, his choices were to either walk away and lose contact with his son, or represent himself to the best of his ability. A Father's Self-Representation Hosea 4:6 (Eliminating the middleman-the attorney). The first two books are based on the court case. He has written a screen play based on the case as well. He also created the You Tube channel International Fathers, on which he shares videos on fatherhood. One of the touching parts of his story is that his son who he was accused of abusing, now 26 years old, wrote the About The Author section of his last 2 books. When he told me that during our interview, I must say that a tear or two came to my eyes. That’s touching beyond belief. He remains close to his other children as well. His youngest 3 children are from his 2nd marriage. They are 9 year old twins and a 7 year old. He and his former wife share custody, with the kids spending most of the time with him. When I asked him what message about fatherhood he wanted to share with our readers, he said, “Little children watch what big children do and say. Big children watch what adults do and say. Therefore, watch the example that you set.” There are no words to add to that profound statement; I couldn’t have said it better. I hope that you have enjoyed learning about who I consider to be a great man, Mr. Nelson L. Moody Sr. So often you read about fathers who are missing from their children’s lives and their only excuse is that they didn’t grow up with a father so they don’t know how to be one. In other cases, you learn about fathers who get so frustrated with the legal system that they just give up and walk away – leaving their children more vulnerable than before. So when I learn of stories such as Nelson L. Moody Sr’s, I’m encouraged to know that there are men who still care to impart their knowledge and wisdom into their kids’ lives. A friend of mine said to me, “Kid’s aren’t for keeps – they grow up and then they leave home. So you have to teach them the right thing when they are young.” Based on this statement alone, I believe that Nelson ought to be applauded for choosing to be a loving, caring father. I encourage you to share this post with those you believe would benefit from it. I also encourage you to get any of his books that you believe would help yourself or others. Nelson turned his lemons into lemonade and now they can be someone's lifeline. It's all about sharing a positive message from a loving father. If you’d like to nominate someone for Upbeat Dad of the Week, please do so by sending an email to: info@theupbeatdad.com. You can nominate your father or other relative or friend. You can even nominate yourself. 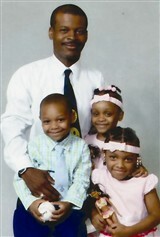 We love to highlight fathers who are active participants in their kids’ lives. Enjoy your day today and every day.